You had to hand it to Chrysler chairman Lee Iacocca back in the nineties; he made silk purses out of sows ears and successfully put lipstick on pigs. So to speak. 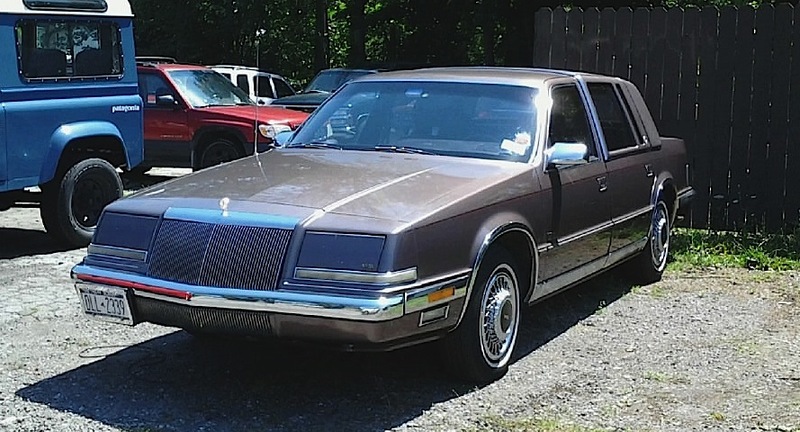 This 1991 Imperial was, under the skin, born of the humble K-Car, just one of many iterations of the cheap compact which Iacocca’s designers and engineers squeezed out of that little sedan. Purists may have groaned when they first slapped the Imperial moniker on one of these contraptions, but for what they were they were luxurious sedans without a doubt. “Remarkable luxury and sophisticated ambience” Chrysler told us. Maybe nothing like the coach-built Imperials of the past, but truly, what was at this point? Saw this one in Youngstown last week. Jim Corbran, RRofWNY …and check out our Facebook page: Un-American Classic Cars The post RealRides of WNY appeared first on Buffalo Cars.